Judy Allen is the specialist for Layton. The list below represents all active property listings in the Layton area. 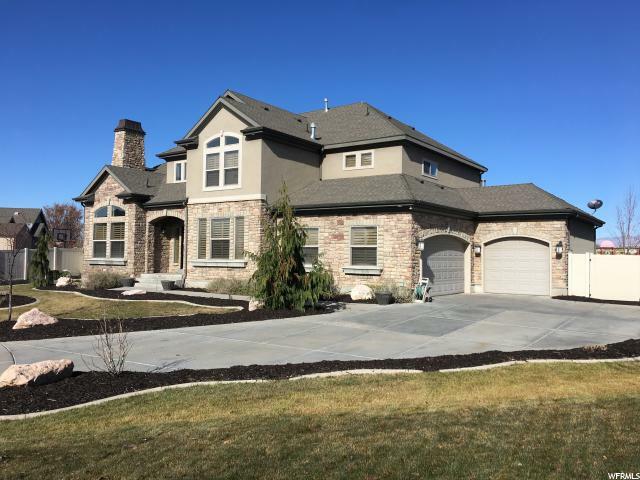 If you're interested in seeing any of these beautiful Layton Homes in person please give me a call today. And if you're thinking of selling your home any time soon, please allow me to prepare a Home Valuation Report at no cost or obligation to you. 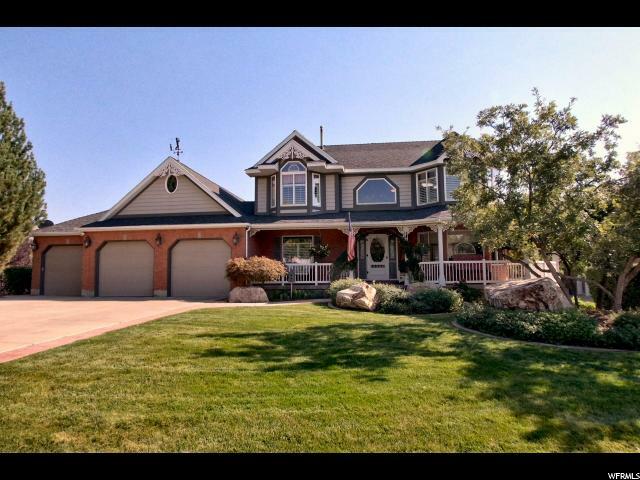 Judy Allen specializes in Layton homes for sale. For the expert who specializes in Layton City. 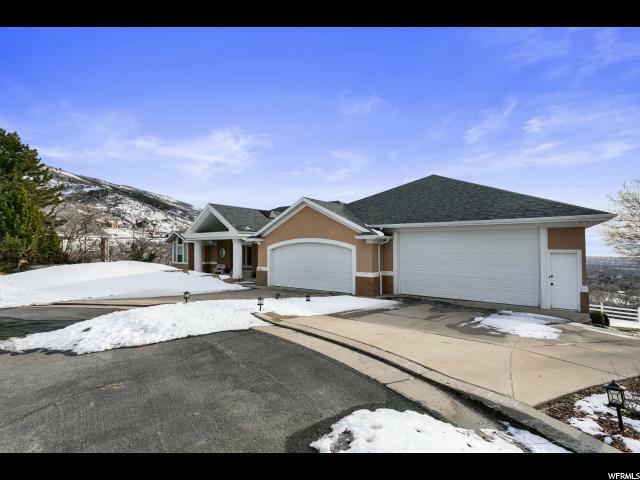 Contact the Judy Allen Team 801 597-5656 Today! 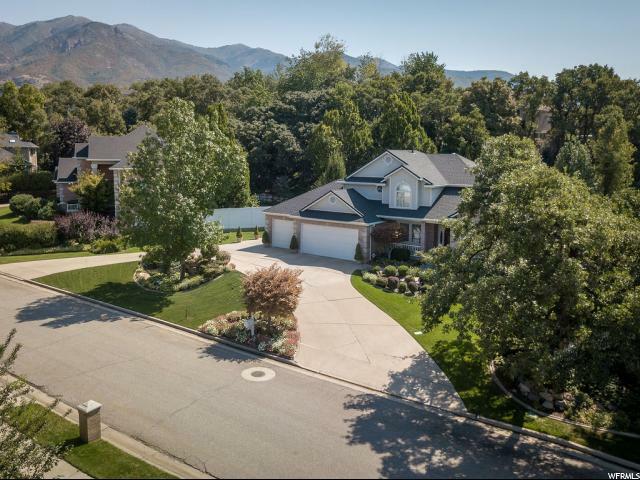 "Richly Appointed, Resort-Like Executive Home in Desirable Layton Ridges Subdivision. 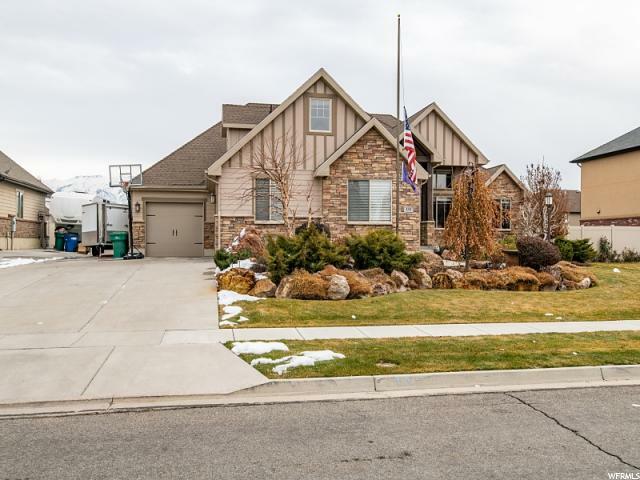 This gorgeous home sits on 3.67 acres high on the East Bench of Layton, with stunning 360 degree views of the mountains, valley, Great Salt Lake, and breathtaking sunsets. Lot backs mountainside, adjacent to Forest Service Land as far as the eye can see, surrounded in picturesque, custom rock work, professional landscaping and outdoor lighting. 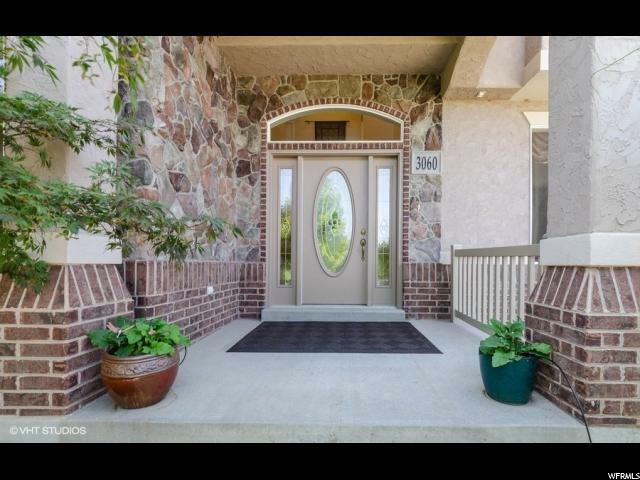 Softly landscaped circular driveway for ample parking when entertaining. Lovely sandstone slab steps lead to the inviting timber and rock covered front porch. 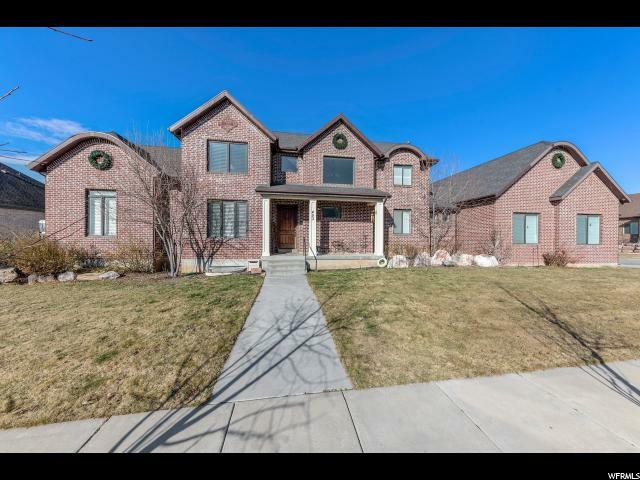 Stunning foyer has custom travertine/wood flooring, backed with grand, floor to ceiling stone fireplace and spacious, elegant formal dining/living on North side of foyer. Hand scraped hickory flooring leads to vaulted greatroom, floor to ceiling picture windows capturing beautifully landscaped mountainside. 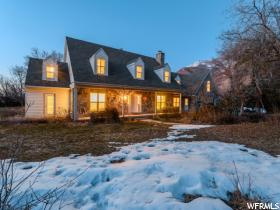 Three fireplaces, sound system, high ceilings, eight foot stained solid alder doors, eight inch stained alder trim and granite throughout add elegance to this property. Kitchen and dining room are open to greatroom. Oversized, raised granite bar for comfortable entertaining in this well-planned gourmet kitchen with corner kitchen window, gas range, double ovens, warming drawer, trash compactor and convenient Butler pantry with two cooling drawers . Wet bar with fridge, sink, ice maker and custom glassware cabinetry located between greatroom and kitchen make this space perfect for entertaining. Romantic grand master suite boasts fireplace, large bay window for relaxing. Grand master bath has heated floors, custom open shower, jetted tub, double sinks and nice walk in closet. Private hot tub on patio outside of master suite. 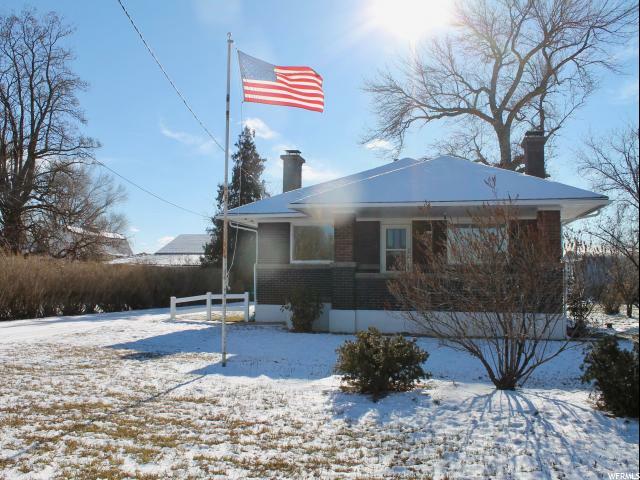 Main floor offers luxurious office with separate exterior entrance from covered front porch. Also, a very nice powder room, laundry room and mud room area off kitchen and garage. Professionally finished basement has ten foot ceilings, greatroom with beautiful ro"
"Designed for entertaining, the ranch-style Delaney plan boasts a formal dining room, an expansive great room and a well-appointed kitchen with a walk-in pantry, center island, nook and gourmet features. At the end of the day, relax on the generous covered patio or retreat to the private master suite with deluxe bath. 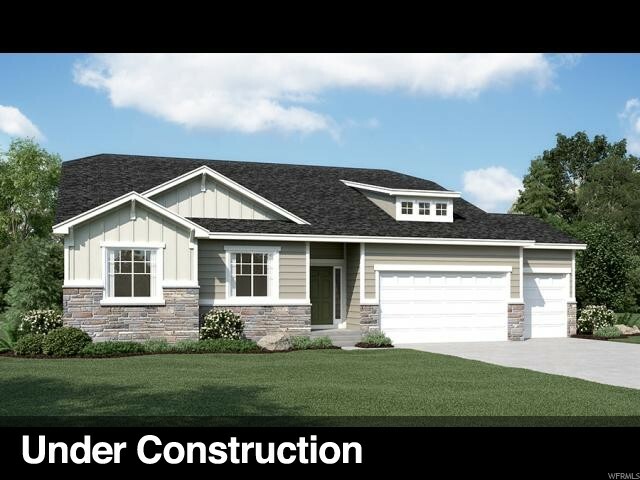 Also includes 4-car garage tandem and a finished basement with a rec room. " 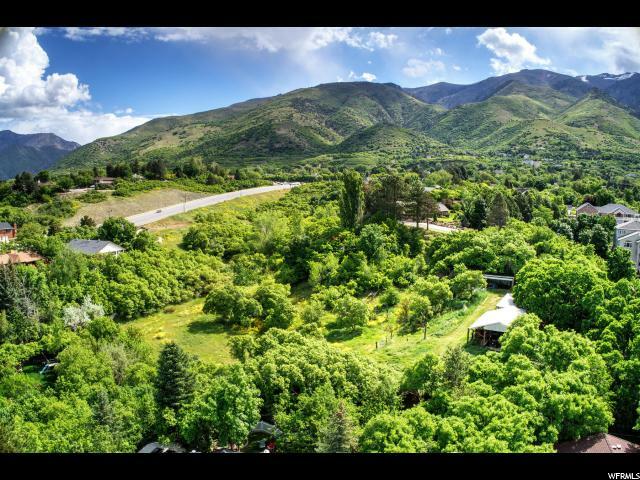 "Beautiful new Wasatch plan in Eastridge Park. Premier location in East Layton. 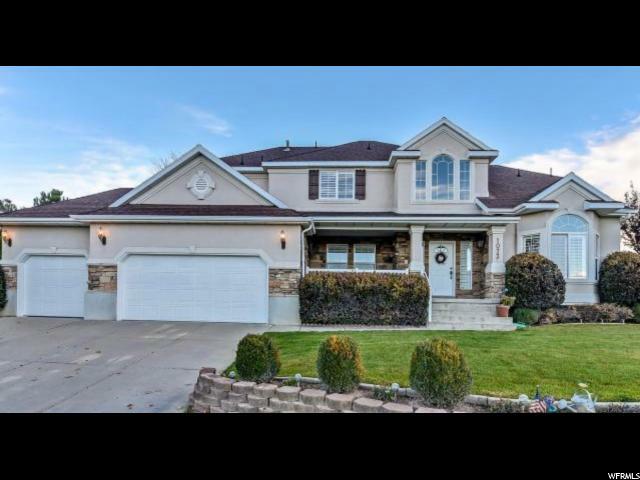 This amazing home features up to 18 foot ceilings and amazing windows to enjoy natural light and views. Fireplace and and white kitchen cabinets with quartz tops and double ovens. 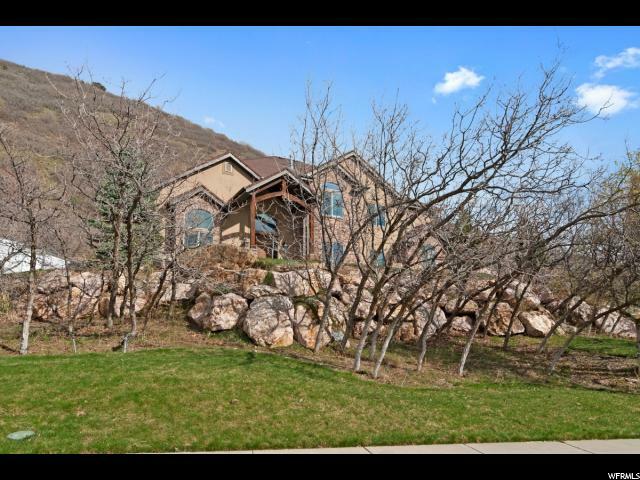 Open floor plan with huge greatroom and covered deck, you'll love the views of the mountains and lake! Nice closets and finished basement with theater and exercise room. This community has all new homes, and plenty of lots to choose from. See hawkinshomes.com for the floorplan options. A must see, call today to schedule an appointment!" "WELCOME TO PARADISE! If you want to feel like you live at a FIVE STAR RESORT, this stunning home has all it takes.......minus room service! 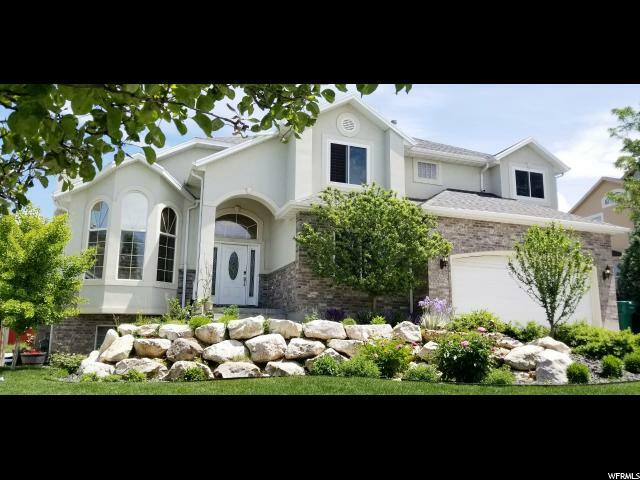 This home has been meticulously maintained, and along with 5 bedrooms and 3 1/2 baths, features marble countertops, newer stainless appliances, hardwood floors, central vac, a Butler's pantry, plus much, much more! The perennial yard is gorgeous no matter what time of year, and features a sports pool and European patio. Once you are home, you won't want to leave! The 4 yr old roof has architectural grade asphalt shingles, and the furnace, hot water heater, and water softener, are all less than 4 yrs old as well. " "A million dollar view for not a million dollars! 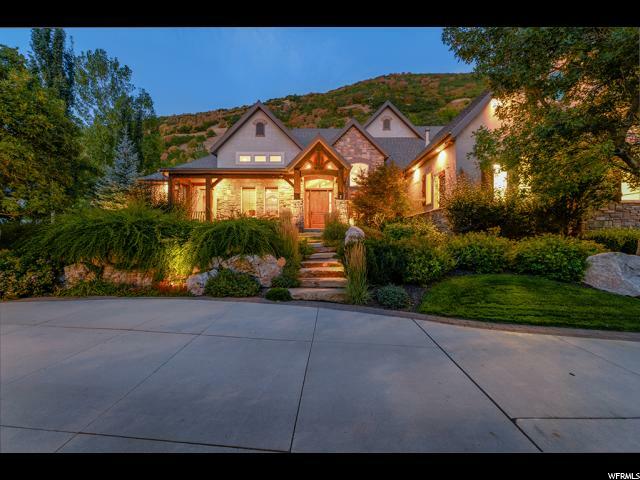 This exquisite home features the most amazing, breath taking views of the East Layton mountain side. Lot is part of the Deere Valley phase development sold as a premium lot. Landscaping is perfectly designed for an infinity pool that would be second to none. Home has been updated with the very finest making living elegant and comfortable with magnificent views from virtually every room." 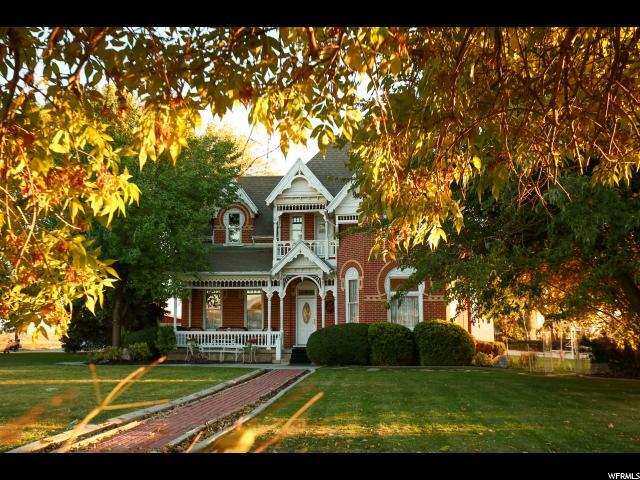 "This impeccably beautiful house with amenities galore is now available! You don't want to miss this one. 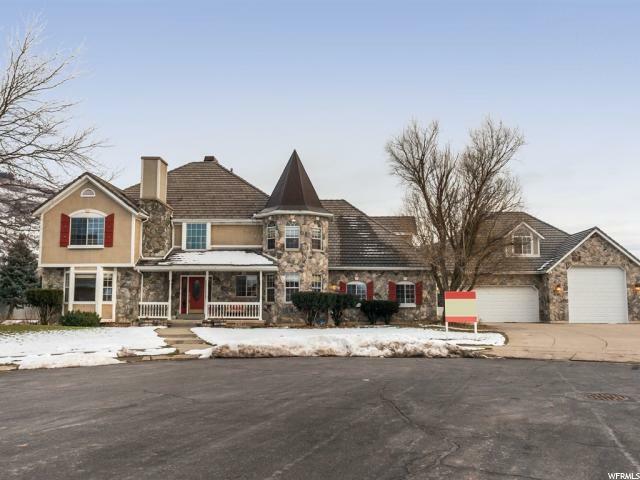 This home has it all, from a swimming pool to an amazing basement entertainment area complete with a Kitchen/Bar and game room! The finishes on this home and the additional features are too many to name. They do include unique upgraded granite both up and down with stylish custom cabinets. Upgraded large oversized fireplaces both up and down. Storage, Storage, and more Storage! 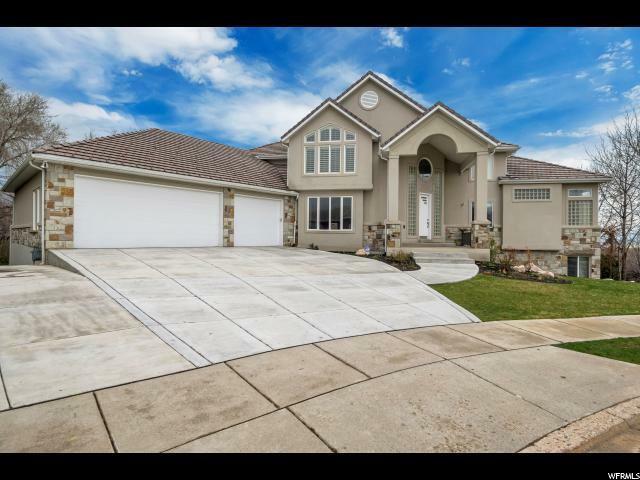 4 car garage is a dream for anyone that likes to spend time there! This home is and entertainers paradise with the amazing swimming pool and open basement game room, bar/kitchen and entertainment area! Schedule your showing today!"